Qantas has just announced environmental plans to cut waste to landfill by 75% by the end of 2021 and remove over 100 million single-use plastic items each year from flights and lounges by the end of 2020. 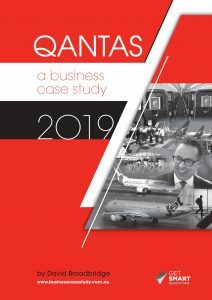 This is in response to growing public concern and awareness about the negative effects of business operations like Qantas has on the environment. Qantas currently generates more than 30000 tonnes of waste in Australia annually. The airline had already removed plastic wrapping from headsets, blankets and pyjamas and replaced plastic straws with paper ones. Source: Qantas pledges to reduce waste sent to landfill by 75% in 2 years by Joanna Whitehead The Independent Traveller Feb 21st, Qantas and Jetstar to swap paper boarding passes for digital model by Lauren McMah www.news.com.au Feb 21st.